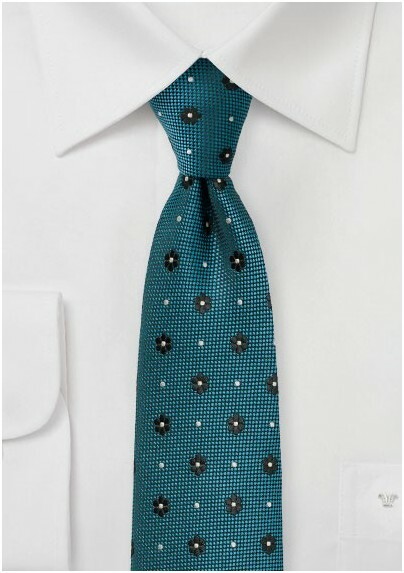 Add unique color and modern vibes to your gray, tan, or navy suits with this teal green floral tie tailored in a modern skinny cut. 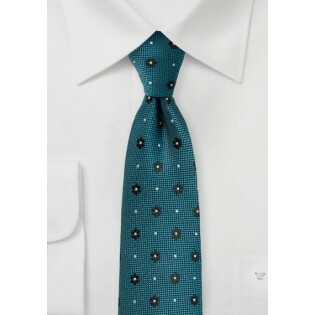 A great tie for all seasons that looks best on top of white, black, or gray dress shirts - either in solid color or with fine check pattern such as ginghams. Made by hand with woven microfiber featuring a matte finish background.